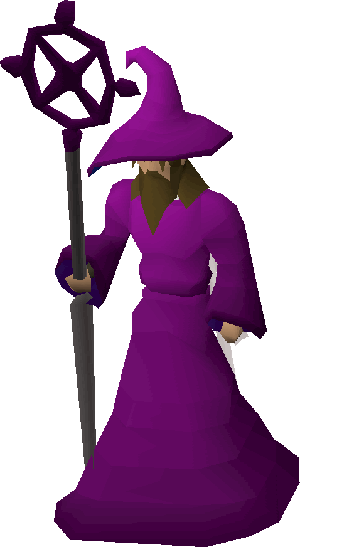 A brand new teleport wizard has been added in-game! It can be found at ::Home and the most popular Pking Places. It has one of the nicest teleport interfaces out there and is very useful and easy to use. Check it out and let me know what you think! The interface has multiple categories and will allow you to navigate through Roat Pkz without any confusion. Popular Now! - This icon is displayed next to teleports that have been used recently and with recent activity (updates every minute). Multi Zone! 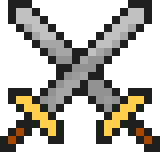 - This icon is displayed next to teleports that are in multi. 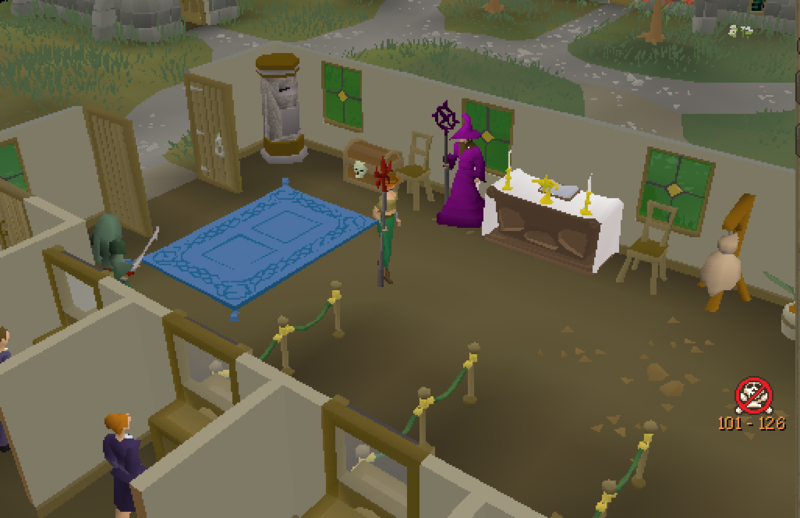 Skotizo / Jad - You can now teleport to Skotizo or Jad for only 50 Pk Points! 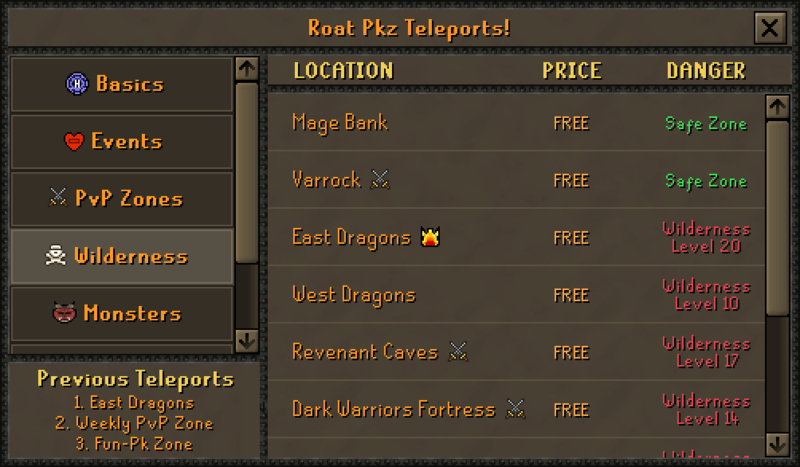 Revenant Caves - You can now teleport to the bottom cave of the Revenant Caves for FREE! Chos Elemental / 50's- You can now teleport to the 50's obelisk for FREE! Three brand new PvP zones have been added in-game! And even more will be on the way. These will work similar to EdgePvP but it won't have any restrictions! 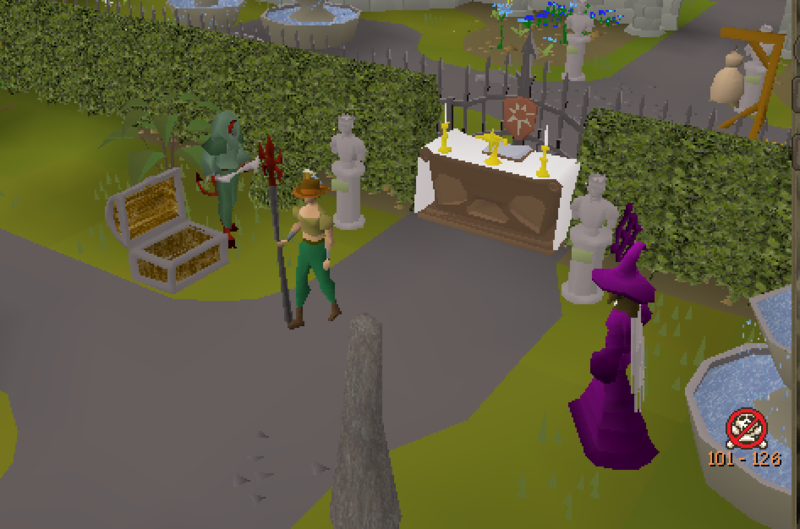 The current rotation is Lumbridge -> Camelot -> Varrock. They rotate every Sunday at 10 AM Server Time (GMT +0). Check them out with ::PVP in-game! Royal Seed Pod + Universal Teleport! 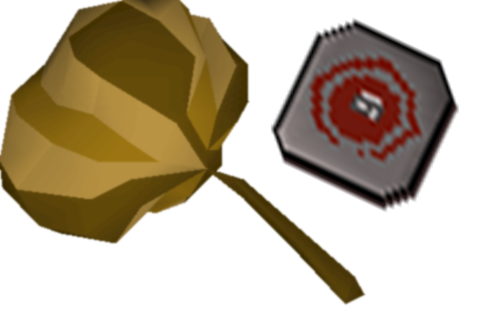 You can now use universal teleports on your Royal Seed Pod to make it work in PvP Zones or in low wilderness during combat. It can be charged with up to 250 tabs at a time and the tabs are only used if needed. You also have clear warnings when you're about to run out of charges! (It basically makes your Seed Pod a up to 30 wild universal tele tab). 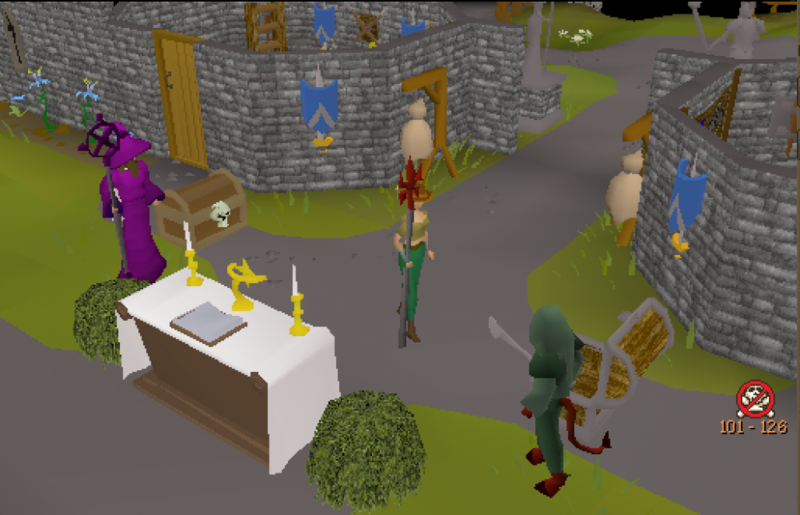 Players will no longer show a full red bar unless they're actually dead! 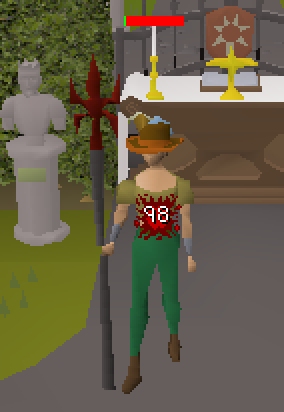 - Blowpipe Accuracy has been fixed (better now)! - Dragon Bolt (e) special attack has been fixed (Didn't work for awhile). - Kodai Wand not supplying infinite Water runes has been fixed. Thanks and so many great updates on the way, you will really love them!!! Amazing updates as always big G.